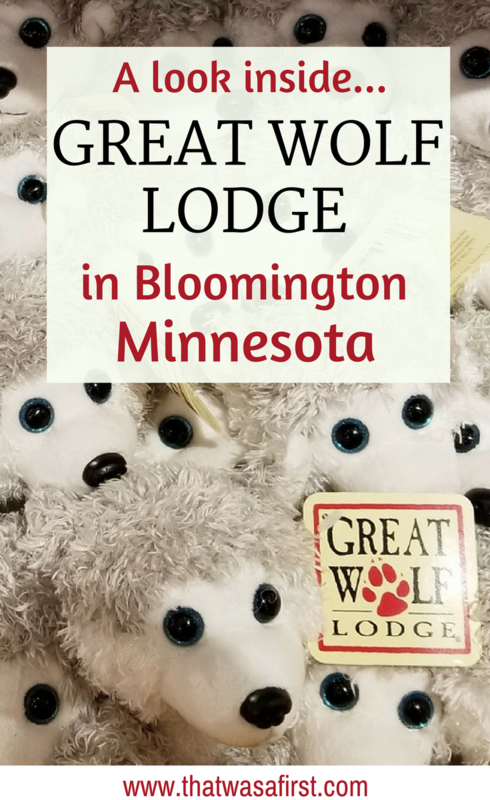 If you live in the upper Midwest, you have probably heard that there is now a Great Wolf Lodge in Bloomington Minnesota. Actually, there are Great Wolf Lodges popping up all over the country. 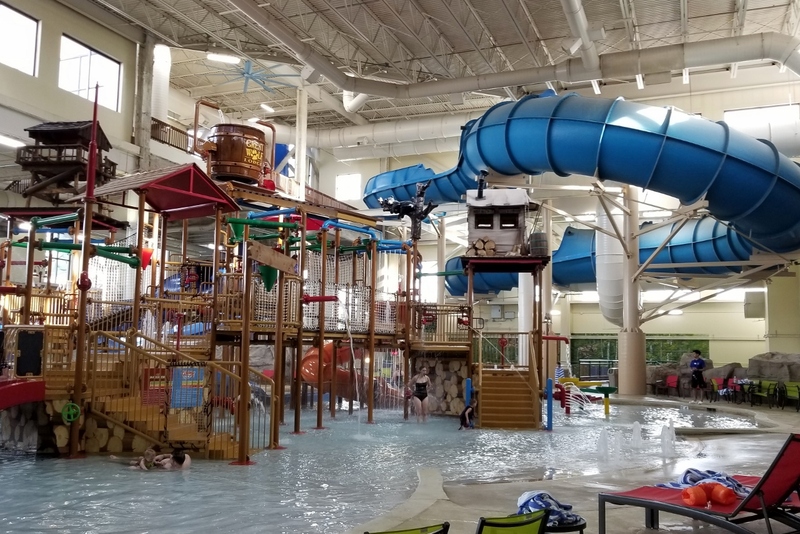 These water park destinations are full of family fun and traditions, but a stay there can come at a steep price. But still, you’re a little curious about the new water park, and you know that your kids are going to be begging to go there in the very near future. 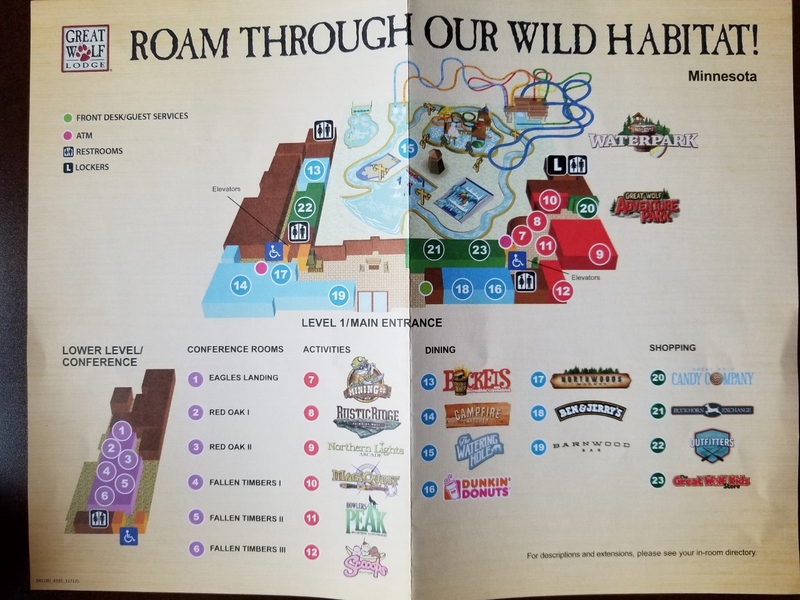 So maybe it’s time to do a little research about the rooms, the water park, and all of the fun activities. This is where I can help. 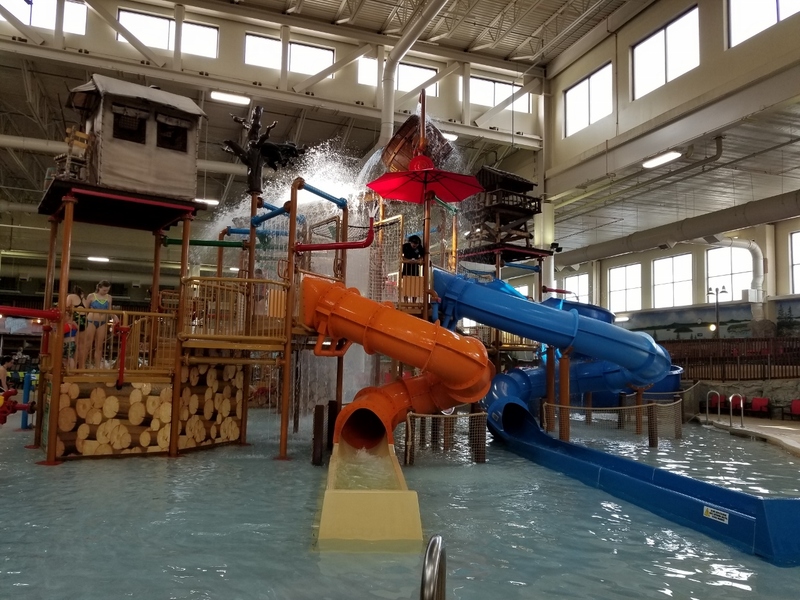 Besides my 16 Tips on How to Save Money at Great Wolf Lodge, I want to share a photo tour of the inside of the new Great Wolf Lodge in Bloomington Minnesota. 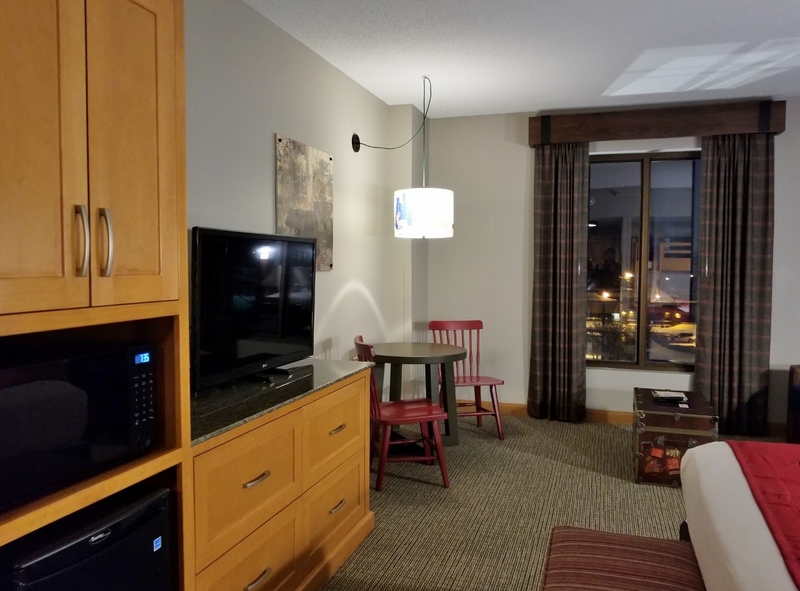 The standard rooms are very nice at the Bloomington location. 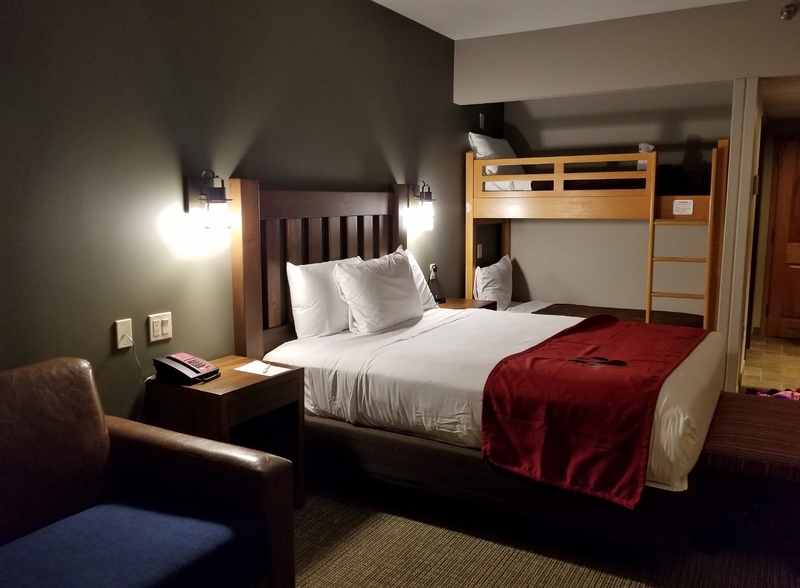 The kids will love the bunk beds (not all rooms have them), and there is plenty of room for everyone! Themed rooms are available, but they come with a higher rate. 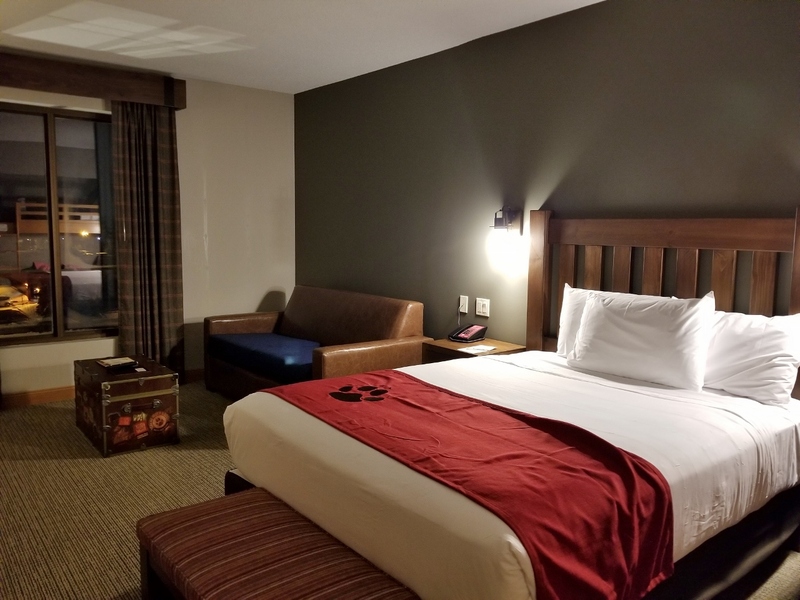 One thing that Great Wolf Lodge does, is show you the floor plan of the rooms while you are making your reservation. This is really helpful, and I wish more resorts would do this. The bunk beds are fun for hanging out in, but I’m told they weren’t the most comfortable. The queen size bed was comfortable, but the blankets were very thin. Notice that there are bedside tables on both sides of the bed…so convenient. A standard room comes with plenty of space for your family. The couch in the corner folds out into a full size bed. And if you’re wondering, the chest doesn’t open up. The table is small, but the fridge is bigger than average. There is a small counter top to the left of the microwave, and to the left of that was the bathroom sink and counter. 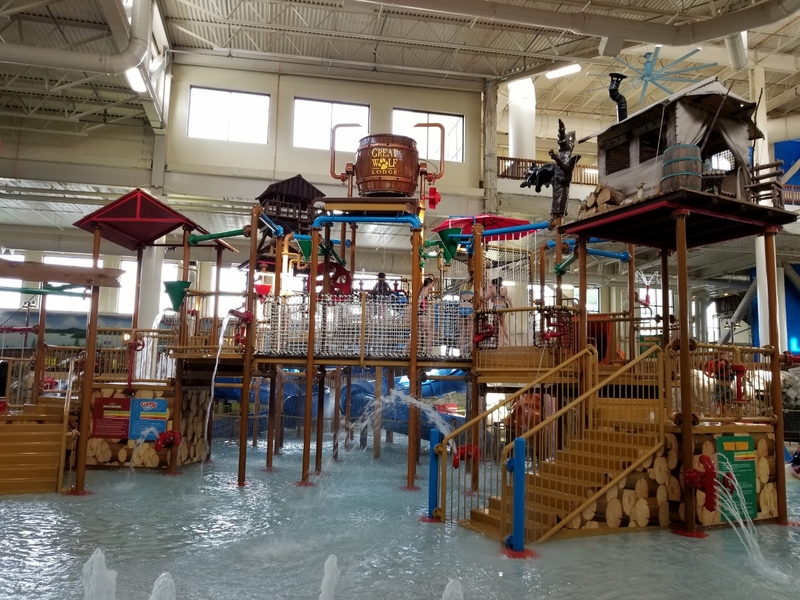 The water park can keep the whole family happy and busy all day long! 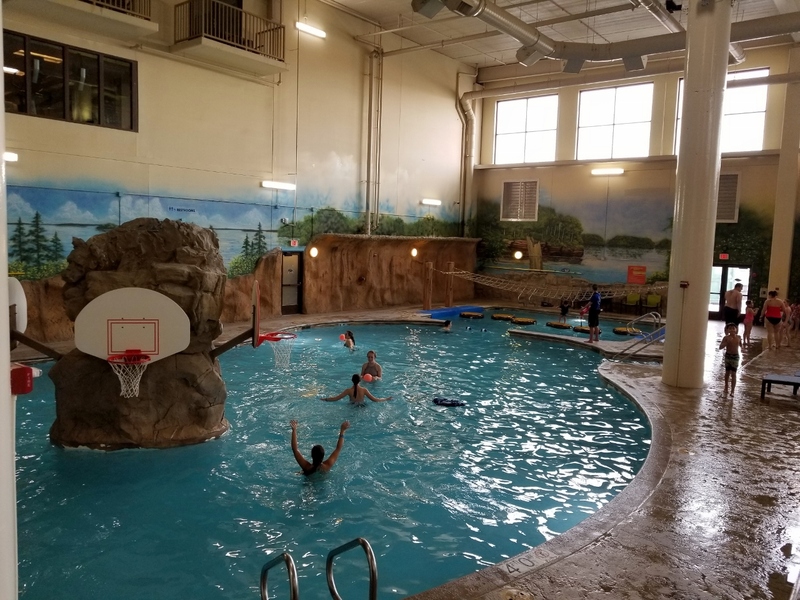 Our strategies to beating the crowds and having a more enjoyable experience at the water park are to arrive early or stay during the week. The Wolf Rider Wipeout…yes the name is very appropriate! Wolf Rider Wipeout is super popular, but WOW, the kids on it were getting tossed around! The water isn’t running in these photos, so don’t be deceived. A view of Fort Mackenzie…the kids area! 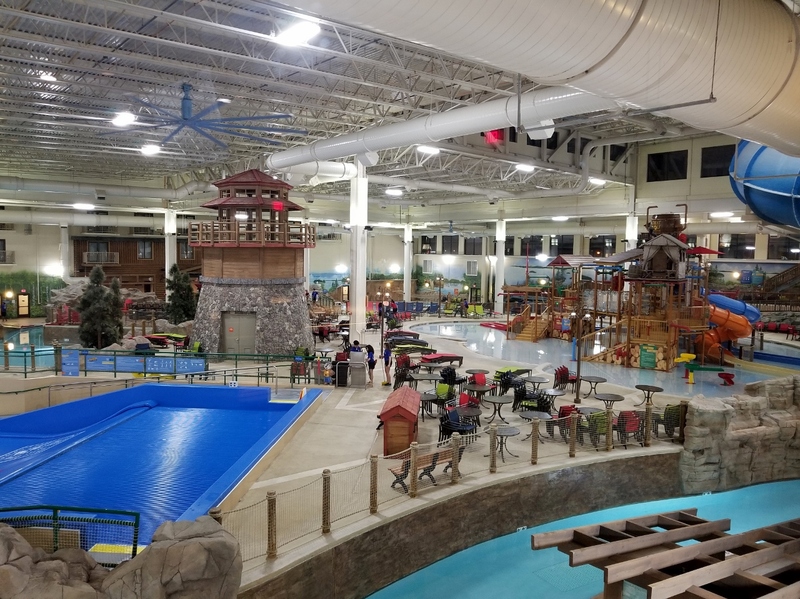 This Great Wolf Lodge location isn’t a brand new park. 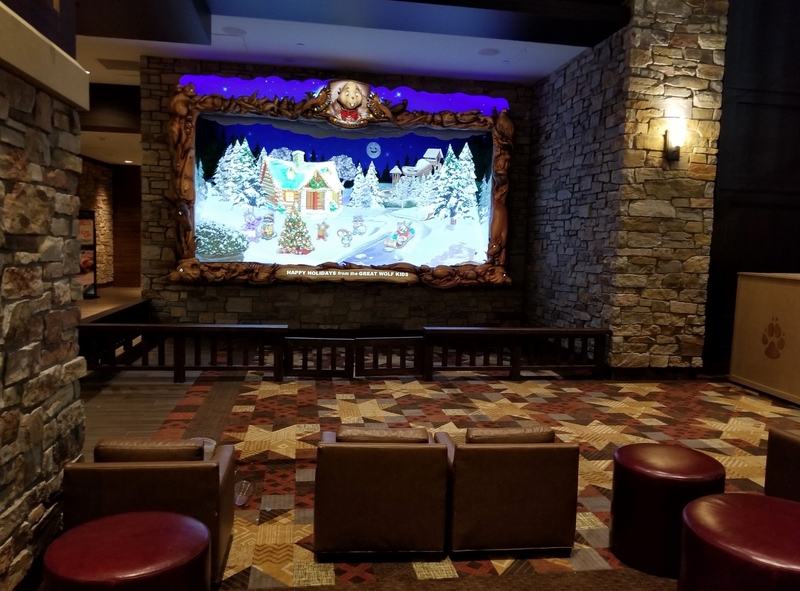 They moved into the former Radisson Water Park of America and updated it to give it the Great Wolf Lodge theme. Are you wondering where all of the tube slides and body slides are? They start at the upper level and then spiral around outside of the building. Sorry, no pictures. It was January and cold outside. There is no warning before the bucket of water spills over. It’s very entertaining to watch! The little kids in the family will spend all day here! The water is just a couple of inches deep in the kids area and it is warm. Every water park needs a wave pool! The wave pool had some pretty good waves going while we were there. The waves also crash into the lazy river, making it not so lazy. 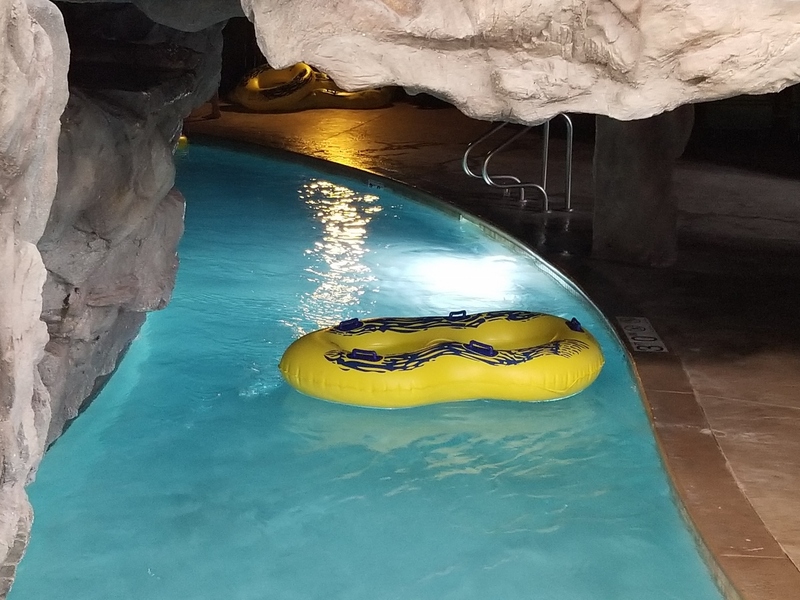 Crooked Creek is the lazy river…your kids will love the tunnel! There’s a tunnel on the lazy river. Fun! Chinook Cove is the pool for fun games and activities. This pool was always busy during our stay! 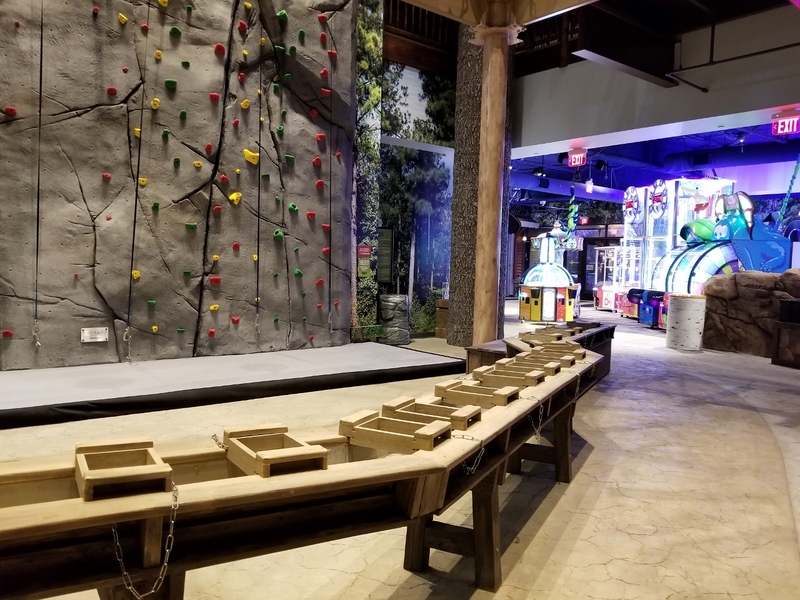 The blue slide near the ceiling is River Canyon Run…will your kids ride on it? 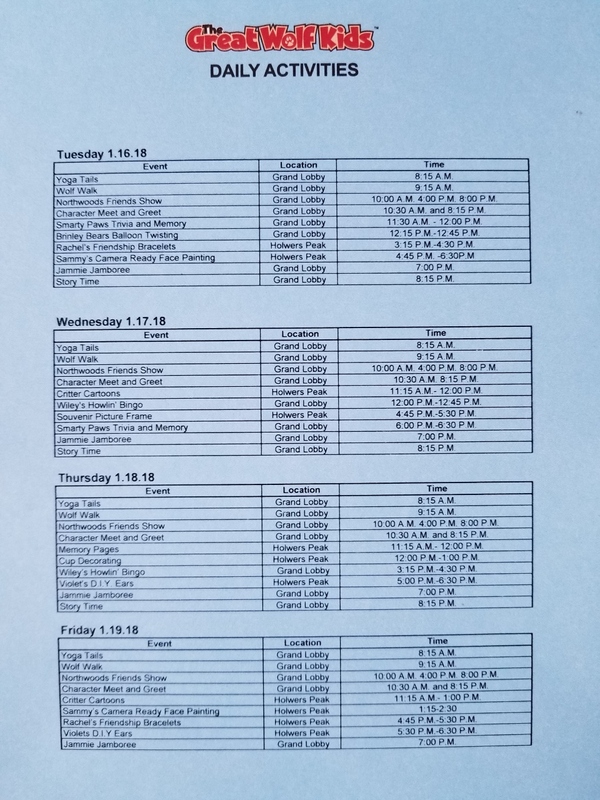 During our January visit, the water park opened at 10:00 and closed at 8:00. So, you need to have something else to do. 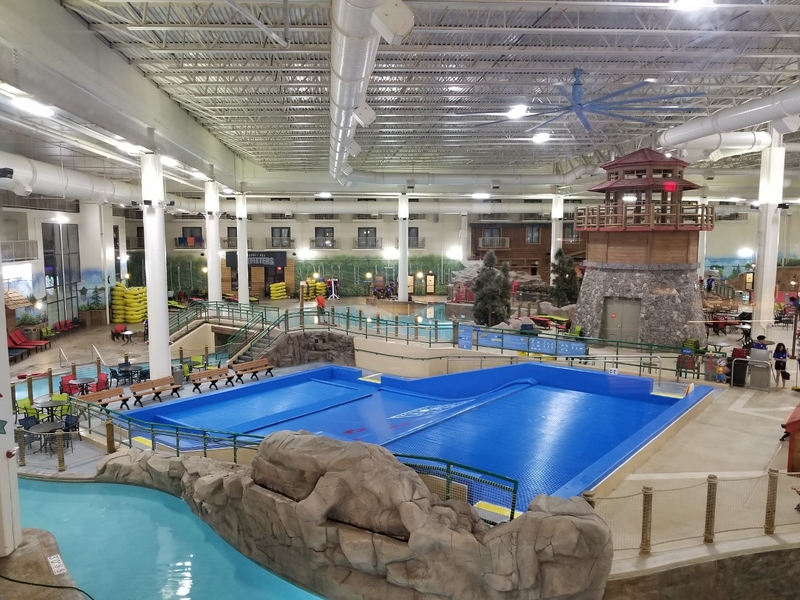 Great Wolf Lodge has that covered with an assortment of activities for all ages. Activities seemed to be starting right on time, so don’t be late! We kind of smiled when one dad was hurrying to the lobby with his daughter for the bedtime story….but it was already almost over. Better luck tomorrow night dad. Did you know there is even a yoga class at Great Wolf Lodge? One flaw of the lobby at the Bloomington location is that there are automatic doors letting people in and out. Do you know how cold it is during the middle of a Minnesota winter? Yep, that cold air floods the lobby. Management is working on a solution for this, but I don’t know what it is. The lobby is where the daily story times are held. Be sure to check the screen during the day, and you may catch a story being played. There’s an arcade with giant games that you can play for a giant price. 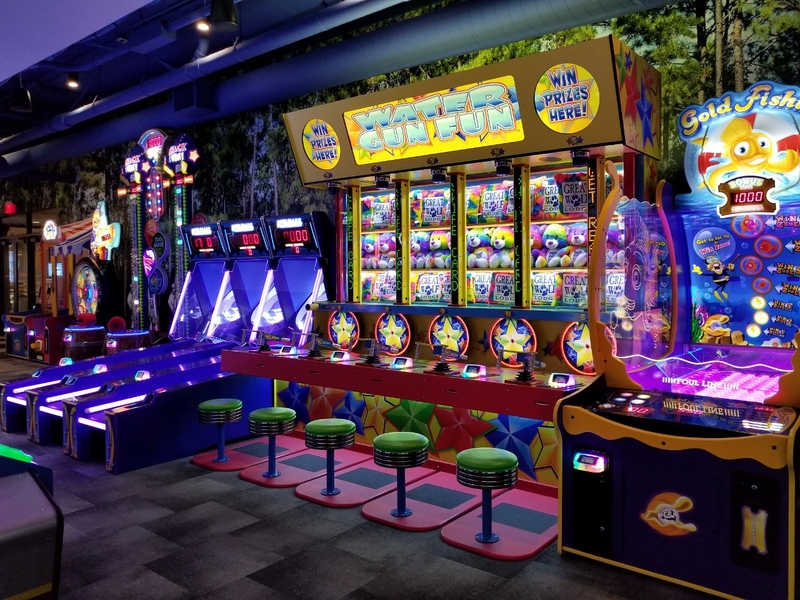 The arcade is open 24 hours, and you earn tickets toward prizes. The prizes were decent, but it is pretty spendy to play the games. 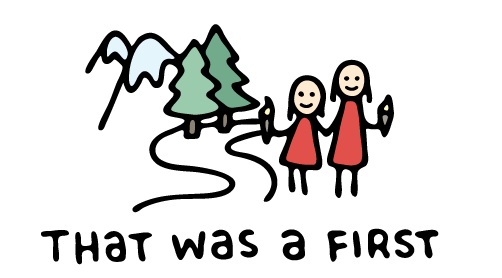 MagiQuest – an adventure game that takes you throughout the lodge. Wands sold separately, but can be used during future visits. 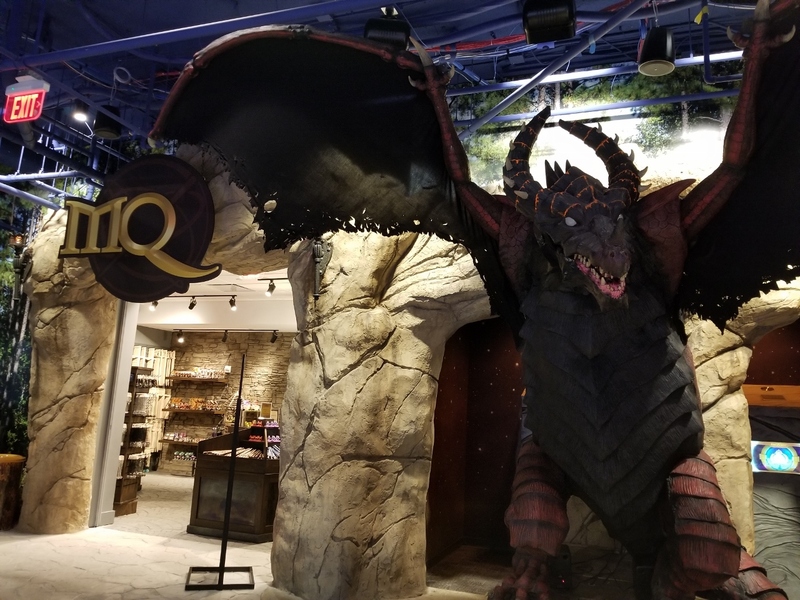 So many kids were having fun on their MagiQuest adventure! You can mine for gems in the shadow of the rock climbing wall. This area was pretty busy after the water park closed. 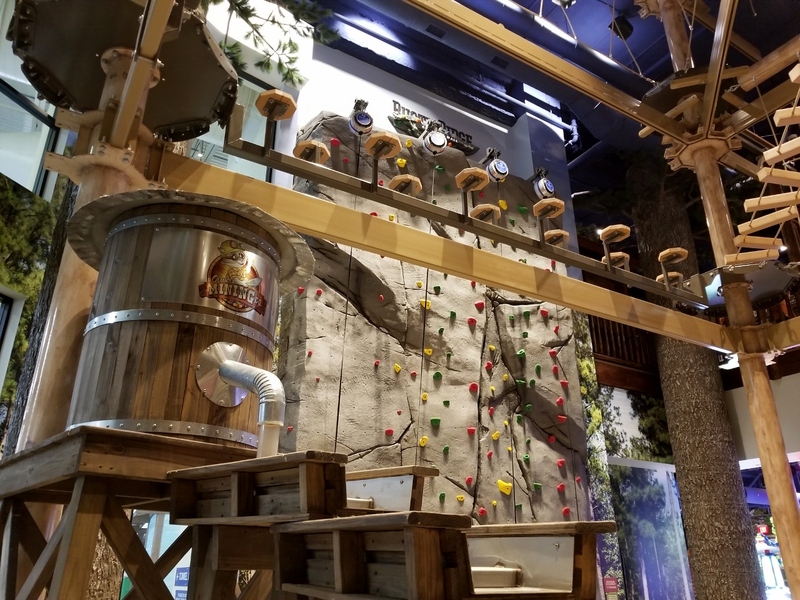 Howlers Peak Ropes Course is for the bravest family members! 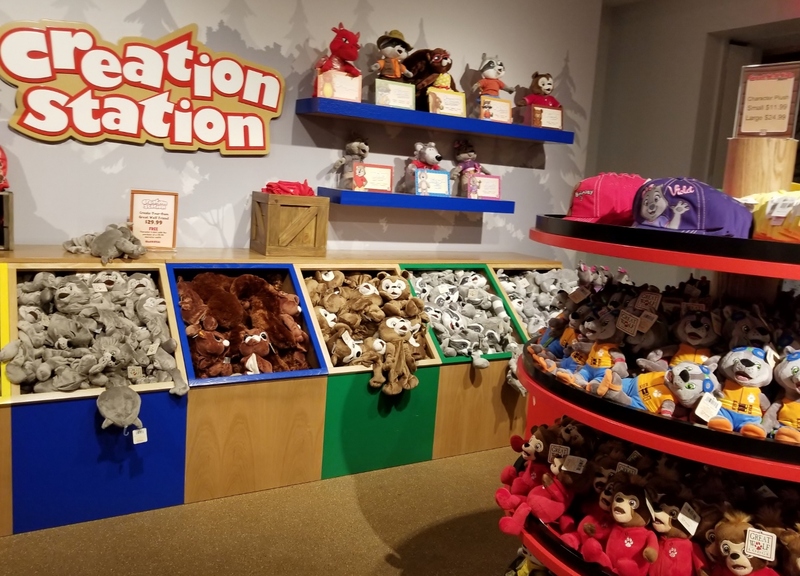 Do you think your kids will let you say no to making a stuffed animal at Creation station? A junior sized bowling alley is fun for the whole family! 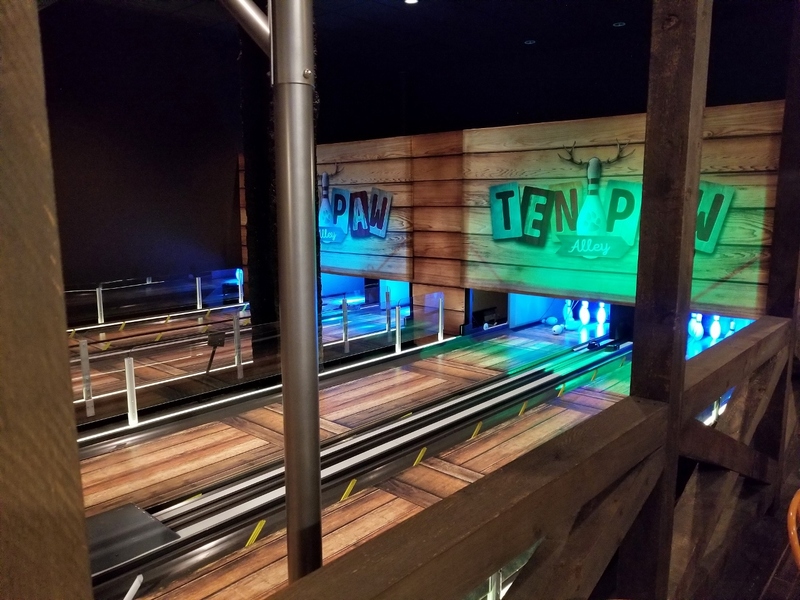 This is the perfect bowling alley for the kiddos. Short and sweet. So now are you ready to book your trip and buy matching pajamas for the whole family? 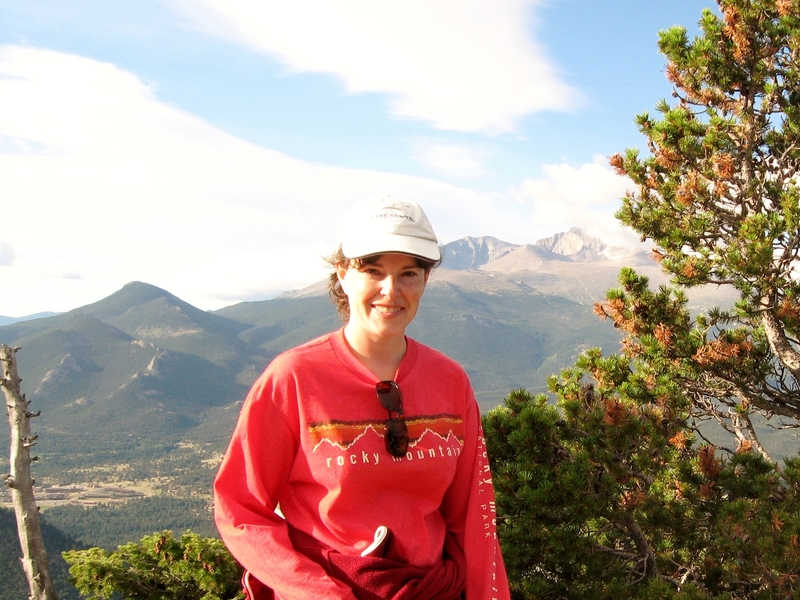 It really is a fun destination and your family will want to return again and again. 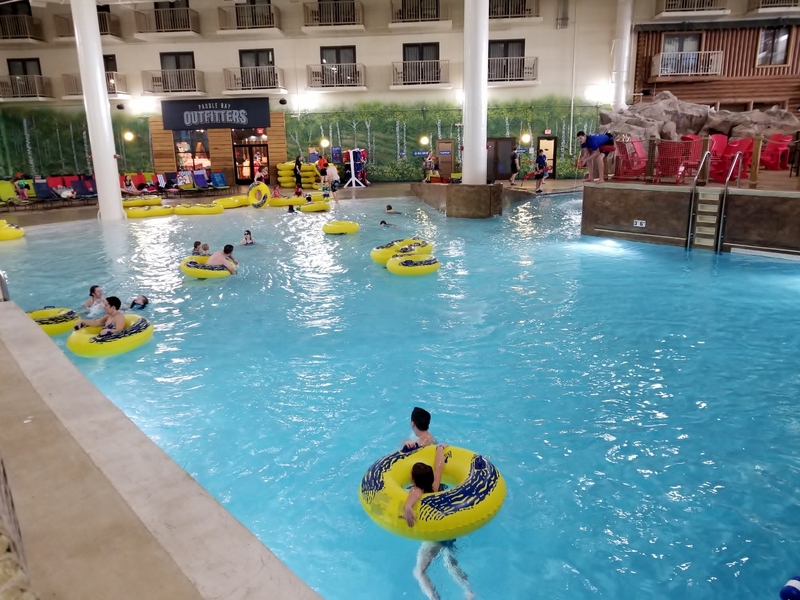 Did I mention that I have a post on 16 easy ways to save money on your trip to Great Wolf Lodge?